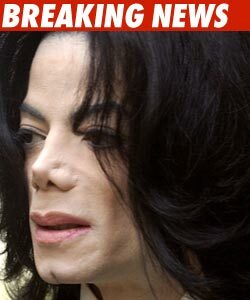 The FBI apparently went around the world trying to make a case against Michael Jackson for alleged child molestation. According to documents just released by the FBI, in 1993 the LAPD and Santa Barbara County Sheriff's deputies "Plan to travel to Manila, Philippines... for the purpose of interviewing (names deleted) concerning their knowledge of accusations against Michael Jackson of sexual abuse of young boys." We know the people sought to be interviewed were a man and woman who had worked at Neverland from 1988 - 1990 and allegedly witnessed molestation. According to docs, an FBI special agent was involved in the Manila trip. And another doc states a legal attache for the U.S. Embassy in London was sending information back home regarding sexual misconduct by Jackson in England ... specifically, a phone call to a teenage boy.